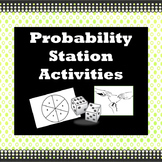 This is a probability station activity I designed for my very active 7th grade math classes. 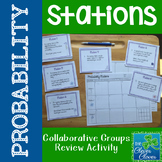 This mostly focuses on independent and dependent events with two game stations thrown in for a brain break. 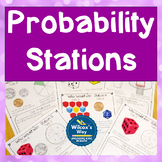 Resources were compiled from other activities available - adapted to fit the needs of my students. 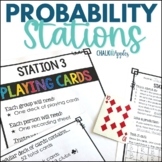 Eight station cards ask students to apply their knowledge of simple probability, the fundamental counting principle, and tree diagrams. 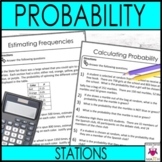 A recording sheet and answer key are provided. 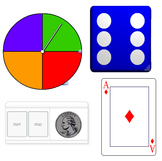 This activity addresses Common Core Standards 7.SP.C.5, and 7.SP.C.8. 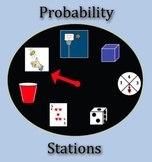 This activity is 8 stations that cover compound probability. 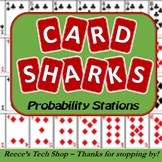 It includes problems that involve replacement and no replacement of different objects. It covers the Texas standards 7.6C, 7.6B and 7.6D. 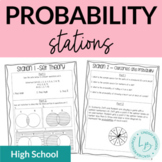 In this activity the students rotated through multiple stations where they had to complete problems on calculating the Binomial Probability. 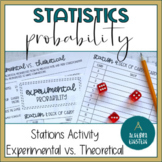 This activity included 8 stations that explore probability with coins, cards, and dice! 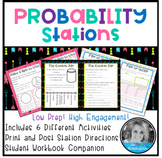 You r students will be asked to create lists, tree diagrams and experiment with the chances!